Amazing new headshot by the amazing Dani Werner! "Stand out performances include Diana Wilde's “I’m Still Here” ...Wilde is beyond charming, her smiling eyes and ingratiating manner are a lovely addition to the cast. Her version of “I’m Still Here” was poignant and wry with just the right amount of self-deprecation and humor." Martha Watson, WHITE CHRISTMAS, The Little Theatre on the Square, Sullivan, IL. Director: Therese Supple Kincaid. "Bessie the Cow," JACK AND THE BEANSTALK,The Old Log Theatre, Excelsior, MN. Director: Kent Knutson. Participating director, 5th Annual One-Minute Play Festival; History Theatre, June 3 & 4, 2017. Film: THE HARBINGER, Betty Goss, Will Klipstine; THE NOTIFICATION, Mother, Austin Anderson, Kirstie House; MATCH PERFECT, Marliss, Matthew Burns; BOARDROON, Linda, Adam Burke. Instructor: Voice Actors Expo. (Recent VO clients include, Live Spark,Health Partners). 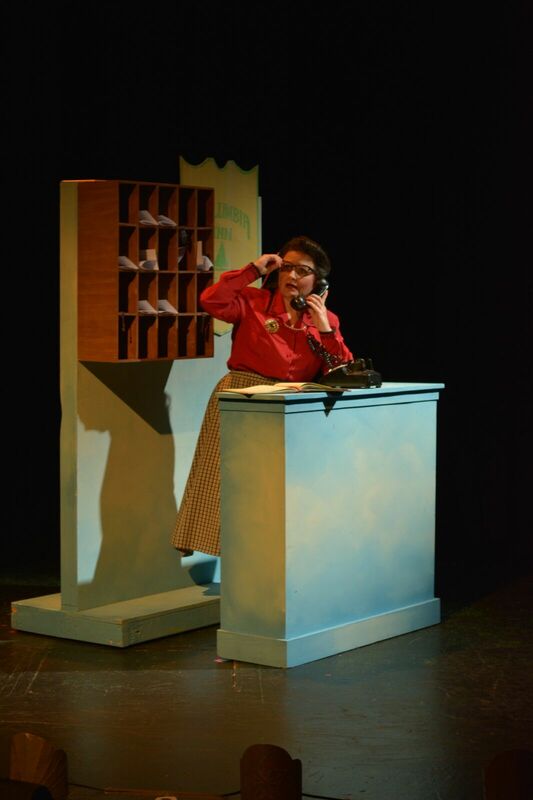 Diana has been seen in the Twin Cities at Artistry as Miss Mona (THE BEST LITTLE WHOREHOUSE IN TEXAS, Joe Chvala, dir. 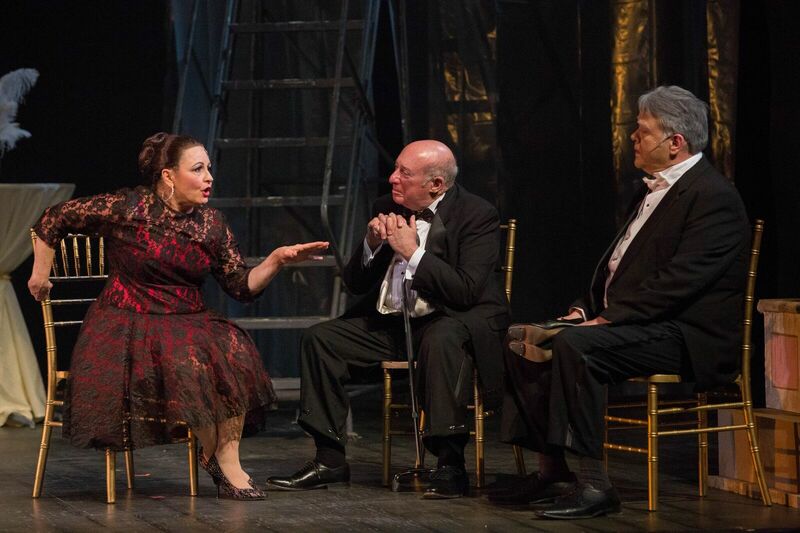 ), Carlotta Campion (FOLLIES, Benjamin McGovern, director), Polly Wyeth (OTHER DESERT CITIES, Rob Goudy, dir. ), and Mrs. Medlock (THE SECRET GARDEN, Lisa Channer, dir.). 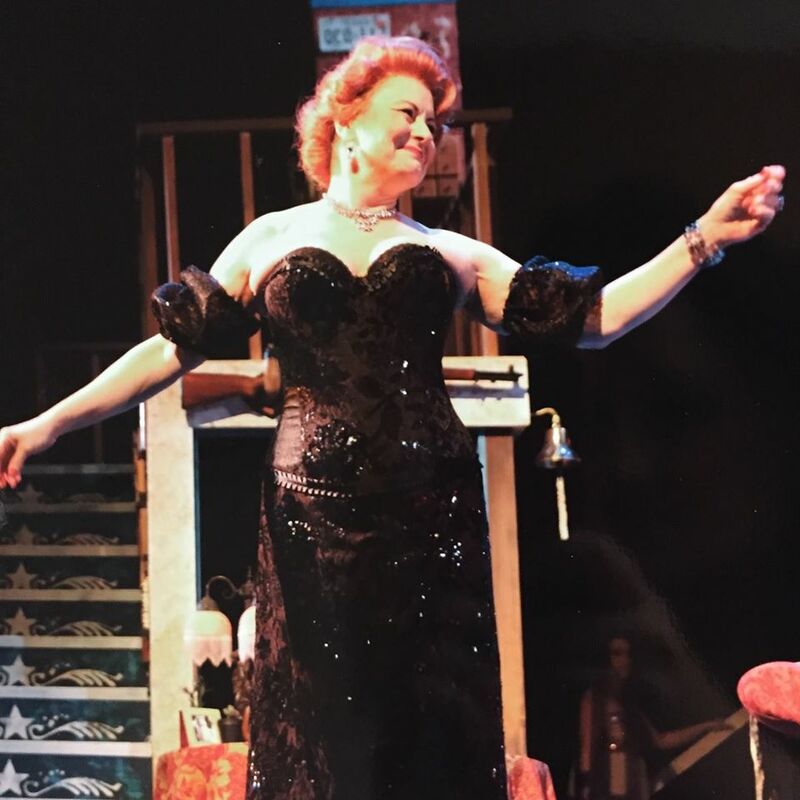 She appeared as Mrs. Vitale in the Actors Theatre of Minnesota revival of TONY'N'TINA'S WEDDING for nearly a year and only went through three pairs of shoes. Diana has done play readings for Little Lifeboats and Theatre Pro Rata; was an actor with, and Assistant Director of, the Murder Mystery Company in Minneapolis; and currently performs with the Mr. Mystery murder mystery troupe. Regional theatre: Mrs. Rose Brice (Fanny's mother) (FUNNY GIRL, Broadway Palm Dinner Theatre, Ft. Myers, FL); Vivian Snustad (CHURCH BASEMENT LADIES 4: A MIGHTY FORTRESS IS OUR BASEMENT Dutch Apple Dinner Theatre, Lancaster, PA). 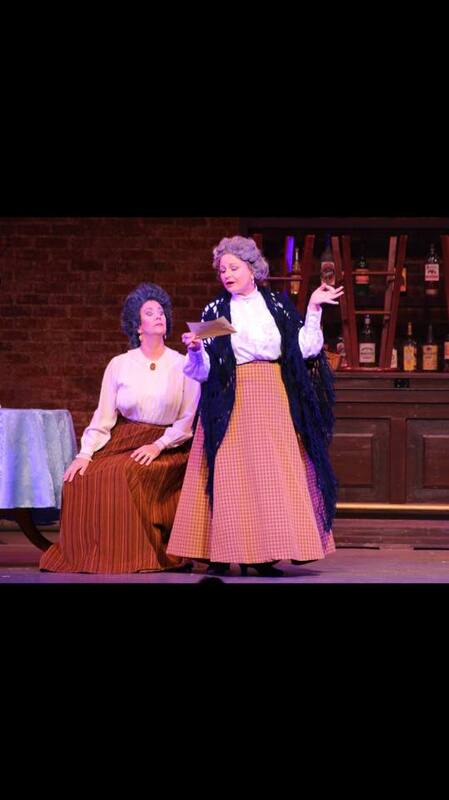 Dolly Biddle (THE KITCHEN WITCHES; Cortland Rep, Cortland, NY); Daisy Werthan (DRIVING MISS DAISY, Tibbits Opera House, Coldwater, MI); . 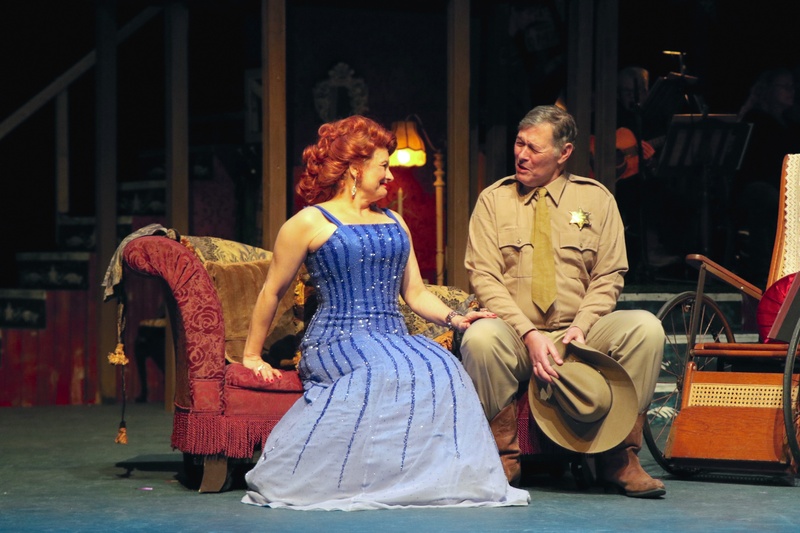 Other favorite regional theatre: Aunt Eller in OKLAHOMA! and Vernadette Simms in DIXIE SWIM CLUB (Allenberry Playhouse); Mavis Gilmore, CHURCH BASEMENT LADIES 2 (Crown Uptown Theatre of Wichita), Mrs. Vitale, TONY’N’TINA’S WEDDING (Actors Theatre of Minnesota). Diana is married to singer-songwriter-guitar player Phil Berbig. Together they support one Beagle and two cats.